So I thought I’d get this post out sooner rather than later as I know there are a lot of you out there who are making sweaters at the moment and just in case someone might want to use this tutorial this month! I am a big fan of thumbholes in long sleeved sweaters. I remember as a kid having holes in the sleeves of cardigans and jumpers and loving it! Nowadays, I’ve only really found them in technical sportswear for some reason but I’m determined to bring them back! I spent some time just thinking about the best method of putting some holes in the right place in the sleeve – from making a hole in the sleeve seam to putting in a buttonhole type opening. But I came up with a better option! The idea was to add a cuff to the end of the sleeve and to make the opening in the seam of the cuff and have that off centre (in line with my thumb), if that makes sense? I decided to test this out on my Toaster Sweater #2 by Sew House Seven – the first #sewmystyle project for the year – which I’ll be writing a separate post on later. It worked pretty well I think! Trim your sleeve pattern (or your sleeve if you’ve already cut it out) by about 4″. You may want to make it slightly longer or shorter depending on how long your arms are! Basically you want the raw edge to end just a little past your wrist joint. 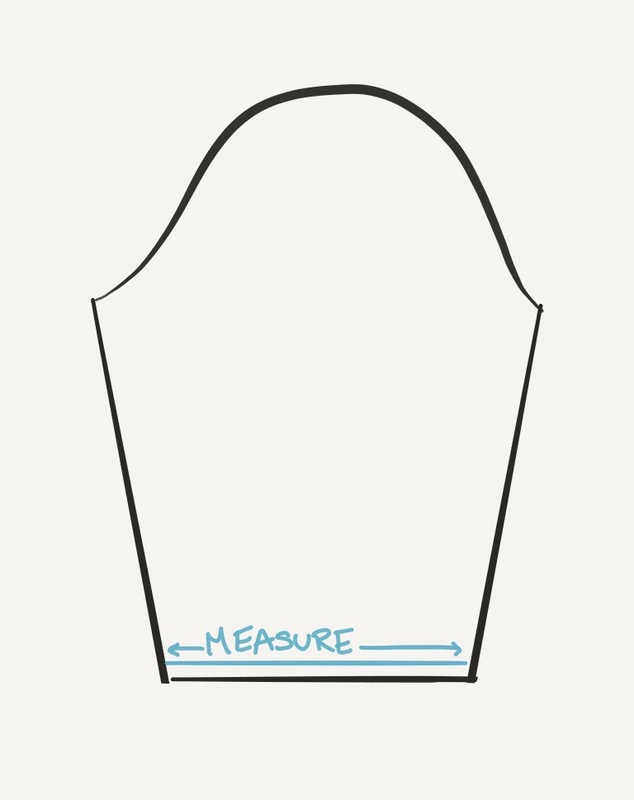 Measure your new sleeve edge seam line on the pattern. 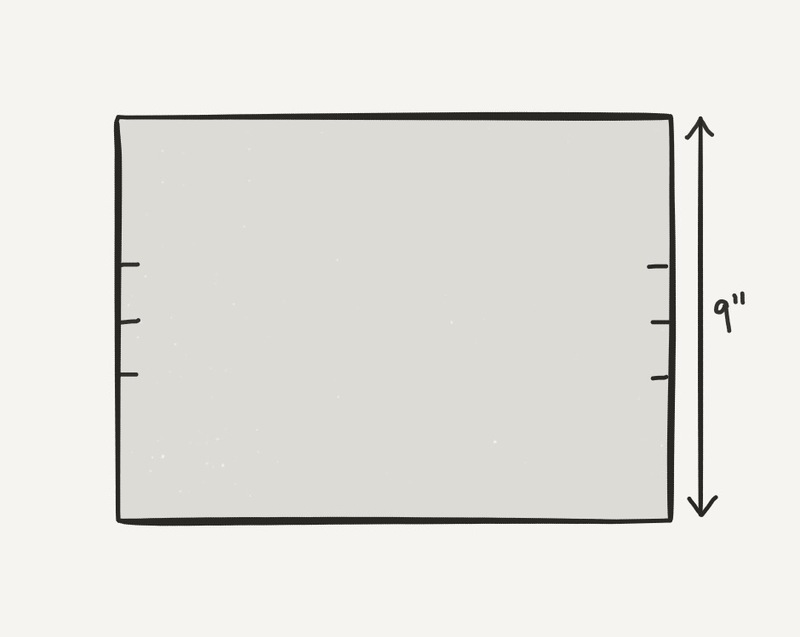 (You can do this by drawing a line 5/8″ from the edge and measuring that). Mine was 11 1/4″. 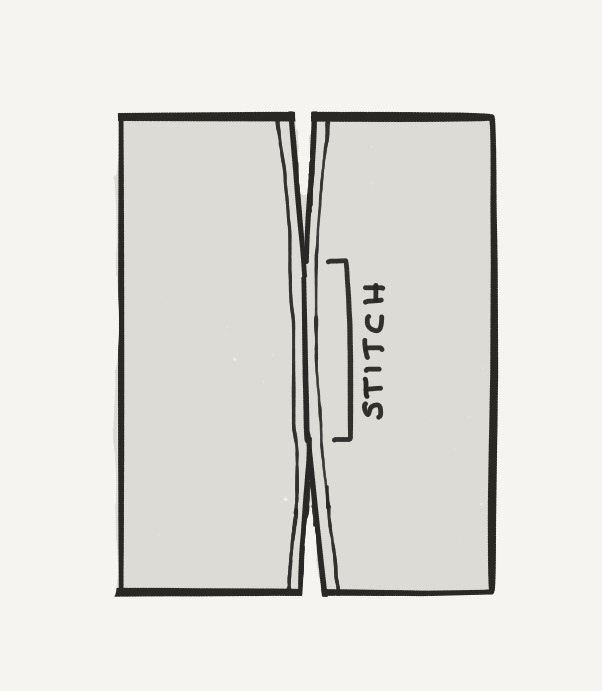 Now draw a new cuff pattern piece as a rectangle which measures 9″ by your sleeve edge seam length (11 1/4″ in my case). Notch the centres of the short sides of the rectangle and 1 1/2″ on either side of this centre notch (3 notches in total). Cut out 2 of these, making sure to transfer the notches. Stitch between the notches with a 5/8″ seam allowance. Make sure you backstitch at each end to secure. Now fold each cuff in half wrong sides together. They’ll look like a normal cuff at one end and the other will have a open flappy bit where the cuff seam is. So at this point you need to have your jumper made. Try it on again and mark where you want your thumb opening to be. This is usually a little bit in front of the sleeve seam. Make sure it’s even on your left and right arms! Line up your cuff “seam” with this mark right sides together. 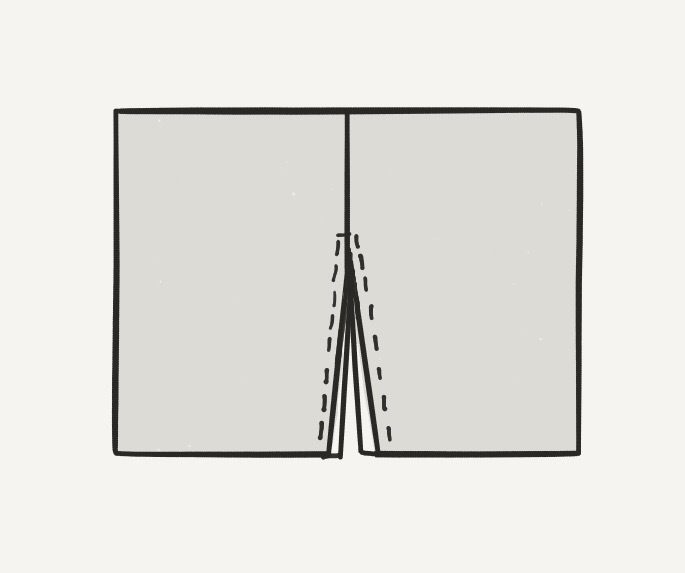 Ensure the sleeve opening edges are properly butted up against each other. Pin in place and continue to the pin the sleeve to the rest of the cuff. Finish the seam (if you want/ need to) and flip the cuff to the right side. Press the seam towards the body. And there you have it! A chunky cuff with thumbholes. Warm and cosy, if a little impractical at times! How is it working with the sweater material. Did you have to do anything different than a standard knot fabric? Nope, nothing different. I’ve just used a standard machine with a straight stitch, in fact, with the knit fabric which works in this case as the sleeve is loose as the wrist and isn’t under tension. 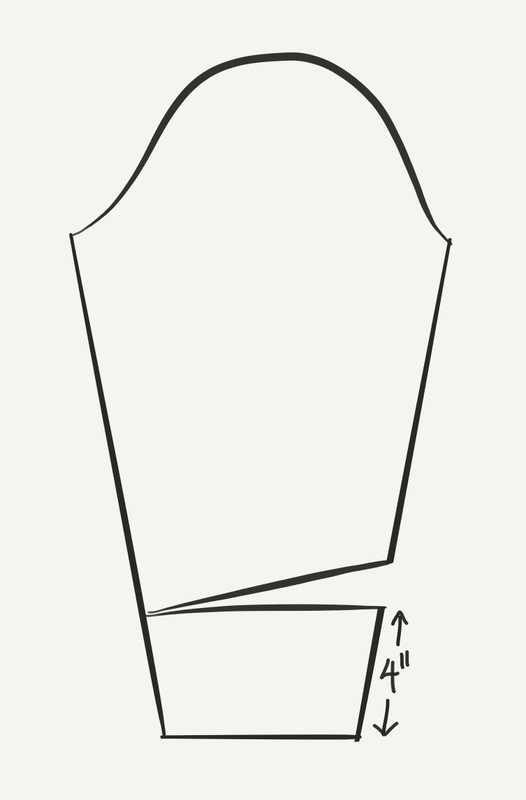 If you’re trying this on a tighter fitting garment, I’d recommend using a zigzag stitch or just an overlocker/serger. I just finished the Toaster Sweater #1 and now I am thinking I may need to add thumb holes to it! Cute! Toaster #1 is pretty great but I had to make a lot of alterations to make the neck work for me. It is edgy-looking but still comfy! Love thumb holes , perfect for keeping cosy, this is a fab tutorial, your thumb cuffs can be added to any jumper! Love this idea, will definitely give it a try. Great idea. I used to have a sweatshirt with thumb holes that was so cosy. I have made the toaster #1 which has sleeves that are quite long and thumb hole would work perfectly. I am about to make #2 at the weekend but from knit instead of Jersey or scuba. Pingback: The Toaster Sweater #2 by Sew House Seven - Project #sewmystyle 1 - Self Assembly Required!